It’s Jake’s birthday. He is sitting in a small plane, being flown over the landscape that has been the backdrop to his life — his childhood, his marriage, his work, his passions. Now he is in his mid-sixties, and he isn’t quite the man he used to be. He has lost his wife, his son is in prison, and he is about to lose his past. Jake has Alzheimer’s. Samantha Harvey was born in England in 1975. She has lived in Ireland, New Zealand and Japan writing, travelling and teaching, and in recent years has co-founded an environmental charity alongside her writing lives in Bath and teaches on the MA in Creative Writing at Bath Spa University. She is the author of the novels The Wilderness, and All Is Song. 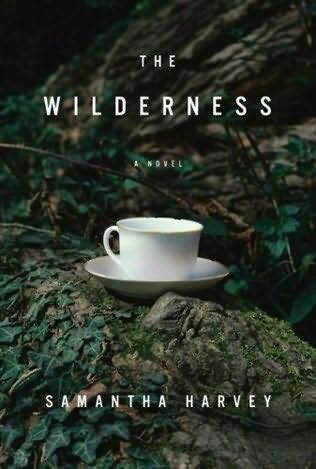 The Wilderness is available for immediate purchase via these links to Amazon.com and Amazon.de. When you make a purchase via this website, a percentage of the price goes right back into site maintenance and development. Thanks for the support! At the Berlin meeting in June we discussed “The Wilderness” by Samantha Harvey. Thanks to Hatice for hosting us: Emily, Giuliana, Ingrid, Jane, Judith, Kirk, Marie, Ming-Han, and me (Tammi). General consensus on this book was *very* positive, with most believing that the author’s “poetic” writing style and structuring of the narrative well-captured the connecting/disconnecting, disorienting, and self-oriented nature of dementia/Alzheimer’s. Both Judith and Ingrid offered their own personal experiences with dementia-afflicted family members and their take on whether Harvey’s depiction rang true or false in comparison. While there was disagreement over the depth of protagonist Jake’s relationship with the women of his life, some attributed it to the characterization of the disease (i.e., how Jake does or doesn’t convey these characters is about how the disease has affected him) rather than any sense of poor characterization by the writer Harvey. Nevertheless, with the exception of Judith’s sympathy for the author’s characterization of Eleanor, many didn’t find “connection” with the book’s female characters. There was also considerable chat about the “human-skin bible,” the miniskirt, and the cherry tree as symbols/objects of Jake’s memory, with lots of questions of whether or to what degree they were “true” memories. E.g., Why did Jake’s mother, Sara, give him the bible? Did the devout Helen in fact wear a miniskirt or is this a symbol for depicting Jake’s assertion that daughter Alice was “his” creation? How did Alice die — a fall from the cherry tree or childhood disease? Plenty of questions like these were unresolved — a style that worked in a book on the loss of life’s threads to a disease-ravaged mind, mind you. Having not read the book myself (I know! Bad Tammi! ), I can say that the discussion made the book recommendation-worthy. Consider this summary of the discussion your mandate to buy the book! The Booker Tea summation captures well the unknowns of the book but the story’s interesting feature to me was how what seems to be at first a normal narrative by Jake is actually many of his perceptions, which keep changing as his mind deteriorates. And so the story changes, in surprising ways. I was one who had problems with what seemed like certain facts that were being given, including Jake being diagnosed with Alzhiemers . One really can’t know for some time if a person’s loss of memory is dementia or Alzheimers without brain scans or an autopsy and one is much more scary than the other. But from the Booker Tea discussion I came away thinking the human-skin bible and other aspects of his Jewish mother that did not ring true were more Jake’s perceptions. The author probably knew better. Most of us said it was not a book we would have picked up on our own but almost all of us thought it was a book very much worth reading. This is the beauty of a good book club. It leads us to places we normally wouldn’t go.